It has been the case for awhile now, but Jane Doe herself already inaugured season 4 and released S4C1 to S4C6. Jazaerae is fastening up the pace, and after a big release for S3, she's now completing S4. Chapter 7 is here and chapter 8 there, but you can also check the chapter list. Note that Naver has changed a little bit its layout, which confused overtooning. I updated the corresponding template, so everything should work, but if it doesn't work yet for you, you can force overtooning to refresh manually. 1°) If you are using the bookmark, access http://otoon-api.bumblebits.net/overtooning.js and use your browser REFRESH button. If you are using an userscript manager like Greasemonkey or Tampermonkey, make sure to check for updates (go in the userscript manager, select overtooning and force update it). 2°) On any Naver page, use overtooning as usual, and if it doesn't work, click on the overtooning icon that should have appeared (next to the Naver logo, top-left of the website), go in "Settings", and click on the "APPLY" button next to the "Reset Overtooning Data" option. Thank you guys! Always grateful to all of you! AAAh thank you alot.. These chapters were extra good. Thank you guys for all ur efforts (≧∇≦)/ u r the best!! Hello, I am trying to use your overtooning function on my iPhone, but for some reason it reloads before I reach the end of the chapter saying that there were errors that occurred. Do you have instructions for mobile readers on how to fix this? Thank you! I started to read this lately and love it so much, it really made me happy to find more chapters here. Hello. I'm trying to use the overtooning on chapters 9 onwards but it doesn't let me. Is there something else that i need to do for it to work thanks. Hi, I can't either, are the chapters not translated yet? Hi! So, umm... I was wondering how I'm supposed to read chapter 8 onwards of season 4 of CITT...? hello. Is season 4 chapter 9 available for overtooning? or is there a something that I needed to do for it to work? thank you for translating this story i love it so much. Thank you veru much :) but in Naver site the chapters appear only till the 7th chapter in season 4 :( Where are the rest of the chapters ?? Hello. 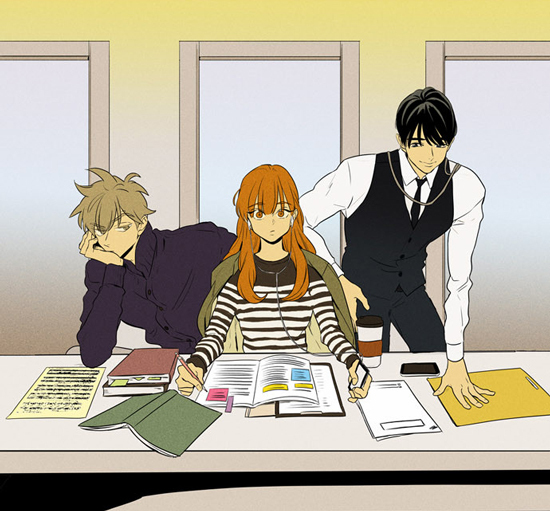 I'm trying to make translation of Cheese in the trap to Vietnamese. If there're no problem could you kindly let me use your English translation? I will have link to the main source and this site, too; with full credit? Thank you! Hi! I can't read the chapter 8, can someone help me please? Hello, how it works on mobile? Can you explain it? I can't read chapter 8, can someone help me please? Hello, i have open season 4 list, but the chapter only untill ch 7, where I can find the other chapter? Hello, why i can't read ch8 and other ch of season 4?? Where i can find it? Is this ever getting updated again or has it been abandoned? Hello, where i can find another chapter of season 4? Because i have been read up untill chapter 7 only. I can only see the list till chapter 7 in season 4. How can I preview later ones?